Brown mud is a waste by-product of alumina production by Bayer process. Due to extensive sodium hydroxide use in the process, brown mud disposal site near Ziar nad Hronom (Banska Bystrica region, Slovakia) and drainage water are ones of the greatest environmental burdens in Slovakia. Drainage water from this landfills has pH value higher than 13, and it contains many heavy metals and elevated salt content. In our experiments, relatively numerous bacterial population was detected in the drainage water with frequency of about 80 cfu/ml using cultivation approach. The alkalitolerant heterotrophic isolates were identified by combination of MALDI-TOF and 16S rDNA analysis. Drainage water population was dominated by Actinobacteria (Microbacterium spp. and Micrococcus spp.) followed by low G + C-content gram-positive bacteria (Bacillus spp.). Two isolates belonged to gram-negative bacteria only, identified as Brevundimonas spp. Phylogenetic and biochemical analyses indicate that nearly half of the bacteria isolated are probably representatives of a new species. 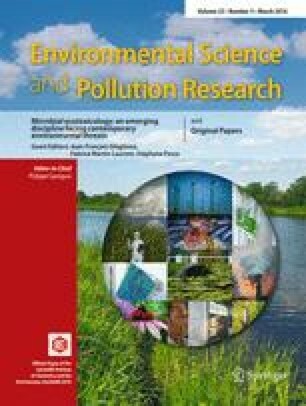 Brown mud disposal site is proposed as a source of new bacterial taxa possibly used in bioremediation processes. This publication is the result of the project no. 26220120001 implementation supported by the Research & Development Operational Programme funded by the ERDF.